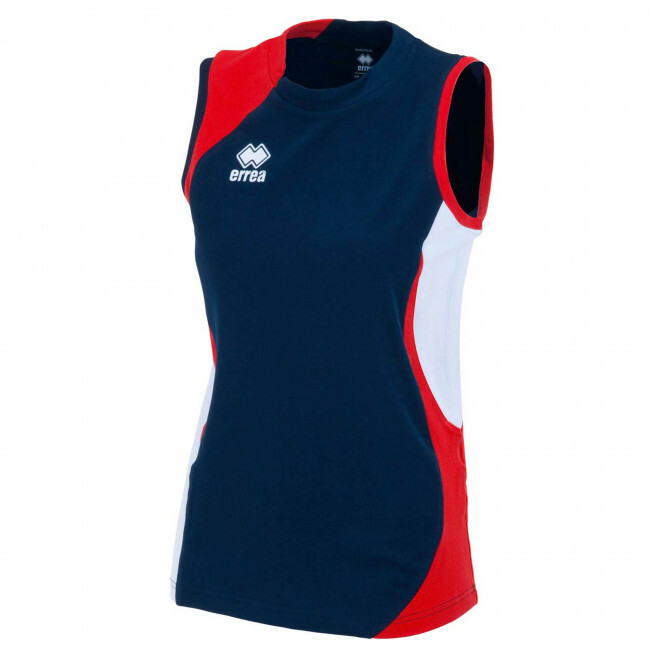 Volleyball crew neck sleeveless jersey for girls. Cut and sewn in stretch cotton.Contrasting side inlaids. Specially designed for volleyball. Snug fit.